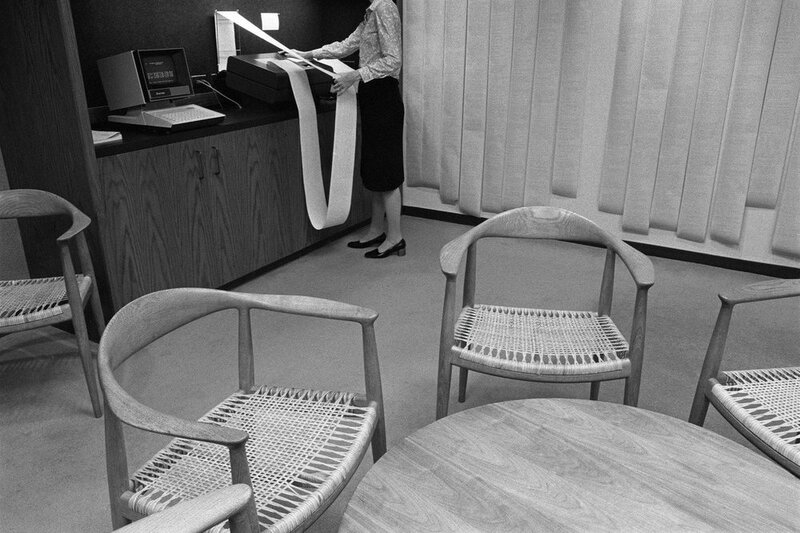 Still current today, these seventies offices captured by documentary photographer Susan Ressler, are not only a clear commentary on a key period in American socioeconomic history, but a great source for design aficionados. If, like me, you derived great pleasure watching the offices shown in Mad Men transition cleverly from the Mid-Century Modern of the sixties, to character Roger Sterling's Space Age black and white office of the early seventies, you too will be able to identify, and take joy in, the appearance of key furniture pieces from the likes of: Marcel Breuer, T.H. Robsjohn-Gibbings, Hans Wegner, Charles and Ray Eames and even De Sede. There is no denying the power of high end office design during this period; it both championed and celebrated the works of such designers in a space that was neither commercial nor residential - but rather, a clever amalgam of the two. You can purchase through DAYLIGHT BOOKS HERE.